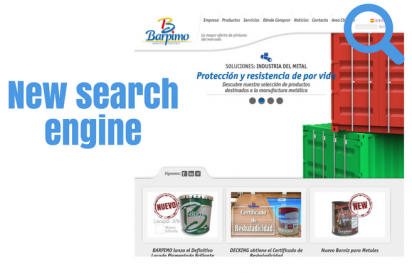 BARPIMO have again committed themselves to new technology by incorporating a new, multi-language search engine on their web site. The new search engine is a simple web navigation tool. You can search for one or more key words in the company’s huge data base enabling users to locate the information they require quickly and simply. 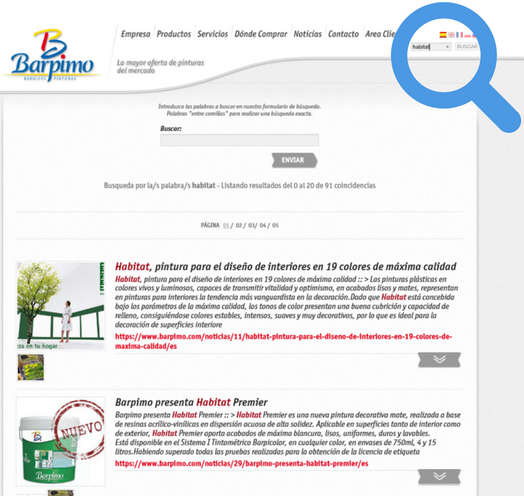 The new search tool is available in all the languages used on the Barpimo web site: English, French, Polish, Russian and Spanish. With a growing export share, it was clear that Barpimo needed a powerful tool to improve their SEO positioning. (Search Engine Optimization or Organic Positioning is a series of techniques used to increase quality traffic towards a web site by improving the positioning of the page in internet search engines). This method makes it possible to achieve a wider reach and an increase in the length of visits to the web site. Both the web and the search engine can be used perfectly on any appliance, from a PC to a mobile phone, with clearly organised content matter which is updated in real time.